BOOK AT THE SAME TIME OR BOOK LATER! 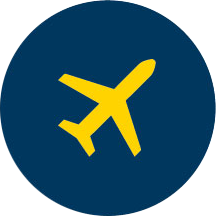 Book your flight + hotel together and get FREE hotel nights*! 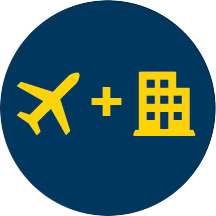 *When you book your Flight + Hotel together, the package savings cover the cost of the hotel (excluding any mandatory fees charged by the hotel). Terms and Conditions apply. * Above image is for illustration purpose only. 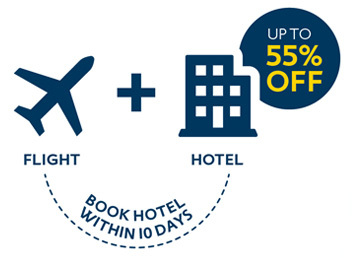 Get a hotel discount of up to 55% OFF if you book your hotel within 10 days of your flight booking.